Manila, 2017- Today’s young Filipinas are more empowered than ever. They express themselves stronger than ever – whether in beauty, in fashion, even in their thoughts. They know what they want and how to be in control, and sometimes, the only thing that they need is a dose of inspiration to push them forward to make their dreams happen – and Maybelline New York, the world’s no. 1 makeup brand, perfectly knows that. Apart from believing in the transformative power of beauty and using the energy of New York to make dreams happen, Maybelline knows that being a venue to share the stories of young successful women is what every Filipina needs to carve out a name for themselves and make IT happen. 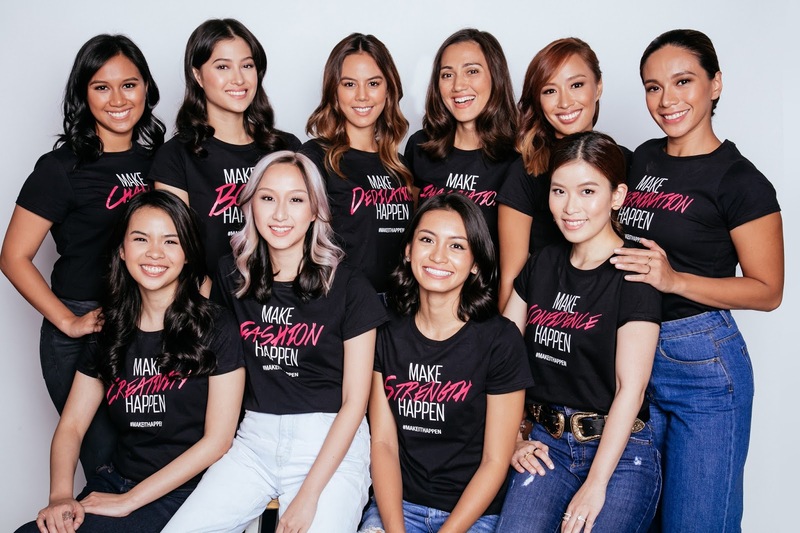 That is why this year, Maybelline New York takes it a notch higher and brings forth its ‘make IT happen’ movement as it partners with 10 young Filipina ‘Makers’ by giving them a venue to share their inspirational stories. “Being a fashion designer and blogger gives me an opportunity to express myself and share bits of my life to my readers. Being recognized and appreciated for what I do also drives me to succeed and to strive to be better in what I do. I’ve allowed myself to take risks, accept challenges, and dream big,” shared Lissa Kahayon. Drawing inspiration from within, Sara Black professional photographer shares that she makes imagination happen, through visualizing the image in her mind and translating it into reality through a photograph. “What drives me is the need to stay current and putting my best work forward. Never be complacent,” shared Black. As an artist and entrepreneur, Alexis Ventura transformed her hobby into a business, but not without the challenges that this brings. She shares that “though turning a hobby into a business is a blessing, finding the right opportunities to develop myself and my team was not easy. Working to reach big dreams with limited resources allows us to be even more creative with our solutions”. These are only but a glimpse of the many Make It Happen stories that Maybelline is set to share to young Filipinas through its ‘Maker’ campaign. To know more about the Maybelline Maker campaign visit www.maybelline.com.ph and watch the latest Maybelline global anthem here: http://bit.ly/2szdmGS.